Hello, friends of Dennis J Coleman DDS – Family & Cosmetic Dentistry! 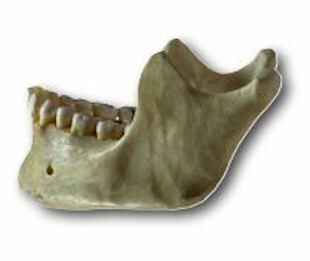 In today’s post, we will talk about jaw bone health and bone recession. To remain healthy and strong, your jaw bone needs to be continually stimulated by the pressure of chewing, biting, and talking. Each tooth has a root structure the extends into the surrounding bone material. As each tooth absorbs the forces of everyday mouth function, it stimulates blood flow in the bone surrounding the root. We always make every effort to save the root structure, however, in some cases, tooth extraction is the only possible dental service for individuals with tooth damage beyond repair. When a tooth is extracted, the jaw bone that surrounded the initial root structure begins to recede Dentists call this process bone recession. Fortunately, dental implants in Davidson provide a new artificial root which helps to keep the surrounding bone healthy and strong for years. A dental implant consists of a heavy-duty titanium post which replaces the natural root and eventually integrates into the surrounding bone. After dental implants in Davidson have been placed, the surrounding bone can heal and integrate with the implant. To begin this treatment, a post is placed into the implant site. Then a new artificial tooth, or crown, is attached to the post. Implant Dentistry is a safe and effective treatment for tooth loss. For more specifics about dental implants in Davidson, call Doctor Dennis Coleman at 704-765-9516. The friendly team at Dennis J Coleman DDS – Family & Cosmetic Dentistry provides world-class dental treatment for patients in Davidson and the surrounding areas. For more information about general and cosmetic dentistry, schedule an appointment with us today.